Has written music and played in bands since 1999. He plays guitar, bass, drums and harmonium. Music and performing has been his personal meditation practice, a way of turning negative energy into positive. His songs reveal truths to himself and the listener, his way to connect with his audience on a personal level. His work as a sound therapist is a new way of connecting and offering relaxation and healing through sound. 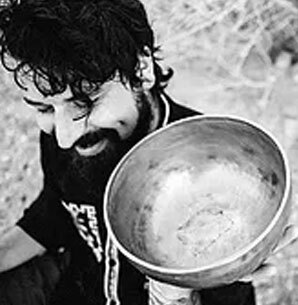 Ryan has been playing Tibetan bowls and gongs since 2012. Ryan is also a certified massage therapist since 2013. His avocation came from his own experience with chronic back pain. He now hopes to help people find relief and improve their quality of life.